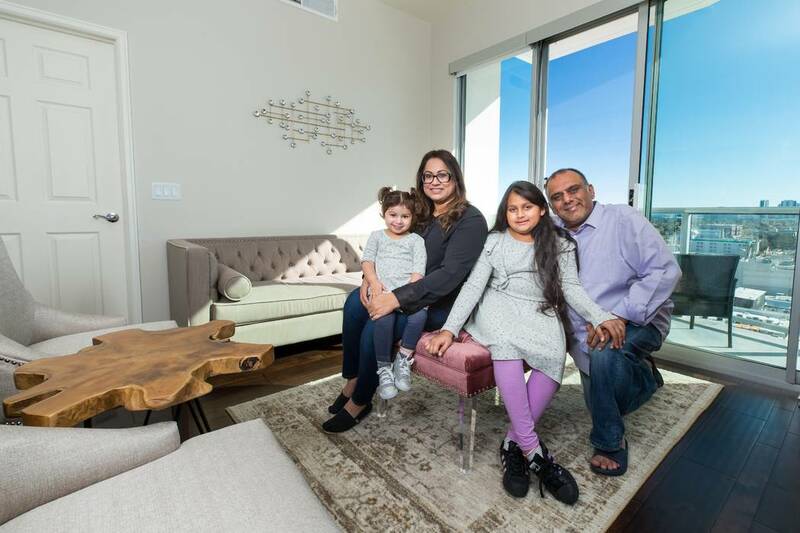 Saba and Bilal Tailor are from Inland Empire, but California’s high cost of living and Las Vegas’ fruitful housing market drove the real estate couple to Nevada last year. With two children still living under their roof, the Tailors envisioned finding a single-family home. 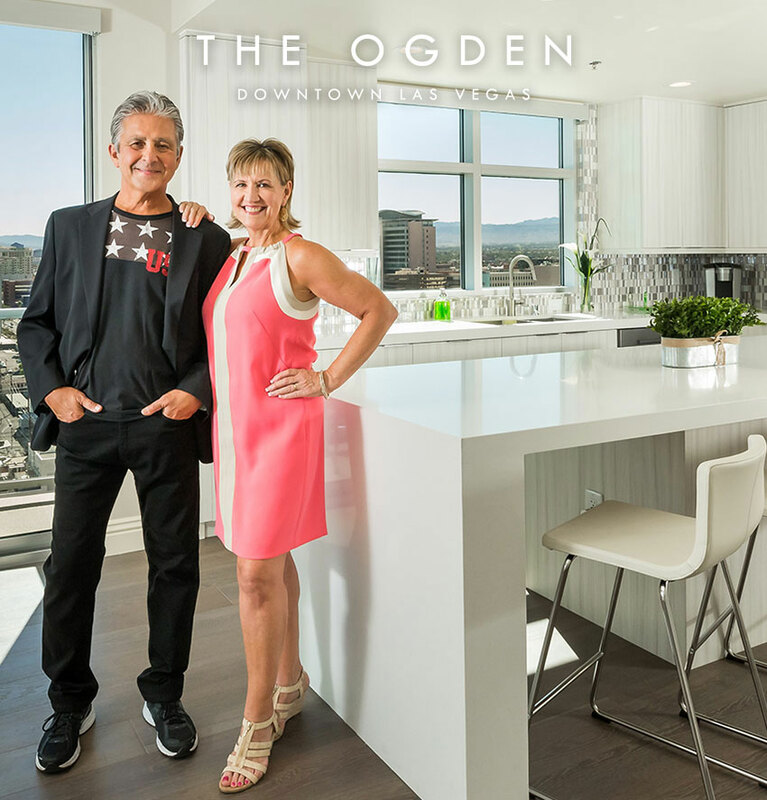 But thanks to some friends of theirs who already lived at The Ogden, a 21-story condominium tower in the heart of downtown Las Vegas, the Tailors agreed to meet with the sales team, who presented them with their future dream home in the sky. The Tailors were drawn to The Ogden’s fitness center and the Skydeck that they already have used for entertaining friends. They also appreciate the mountain, city and Strip views from their balcony, floor-to-ceiling windows that offer ample natural light and the community’s friendly concierge team. “We get our groceries delivered right to our door, thanks to concierge. Our two older children grew up in suburbia, so we weren’t sure how receptive our two very young children, 8 and 1.5 years of age, respectively, would be to the dramatic lifestyle change. But so far, they have embraced everything about it. They love the rooftop pool and are mesmerized by the city lights from their bedroom. And, our 8-year-old is looking forward to attending 9th Bridge School next year, which is minutes from home,” Saba Tailor said. The Tailors enjoy exploring the vibrant city that surrounds The Ogden and always discover something new when they take family strolls through the city. Saba and Bilal Saba Tailor look forward to participating in lifestyle events at The Ogden organized and hosted by the community’s own lifestyle director, Evelyn Connors. These events have received great reviews from neighbors. “We don’t own any pets, but with such great pet accommodations, we are seriously considering adding a four-legged companion to our family. I still can’t believe we live in a high-rise community, and now that we’ve been here for a few months, I recommend many of my clients to at least explore the option because it might be exactly what they were looking for and just didn’t know it yet,” Saba Tailor said.